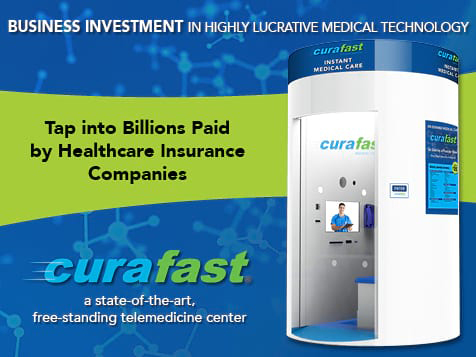 What does a Curafast Medical Centers Licensor Cost? The On Demand Medical Technology’s licensing program is available to non-physicians, and no medical experience is required. Investors license the technology from On Demand Medical Technology and lease the physical center hardware, while receiving a 50% revenue split from the Center’s operations. 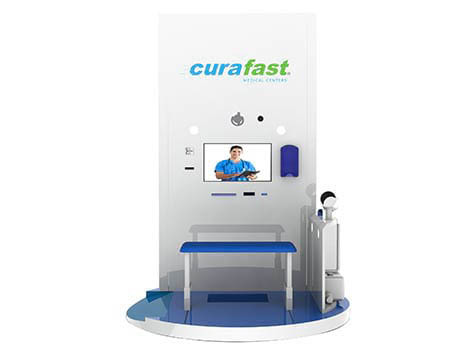 Through high-tech, state-of-the-art medical centers, a patient can have a telemedicine visit with a remotely located provider in a convenient, retail location. 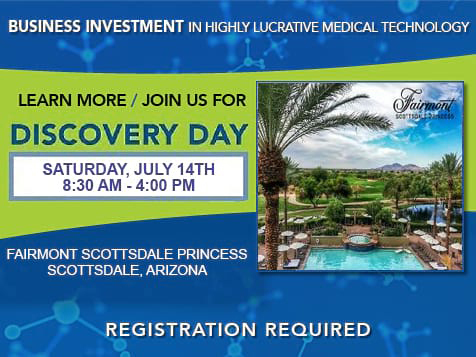 Business Investment in Highly Lucrative Medical Technology! Tap into Billions Paid by Healthcare Insurance Companies! On Demand Medical Technology has developed a revolutionary telemedicine delivery system to combat the shortage of physicians and healthcare cost crisis. Imagine a world with no waiting room to see the doctor, and immediate receipt of diagnosis and prescriptions when indicated. 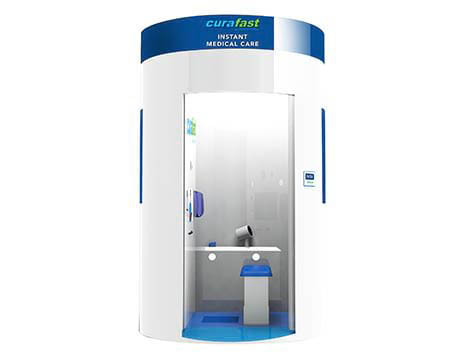 This advanced medical technology is available for placement and operation in high traffic retail environments that offer pharmacy services throughout the United States. On Demand Medical Technology is currently offering a limited number of licenses to qualified entrepreneurs and medical professionals. 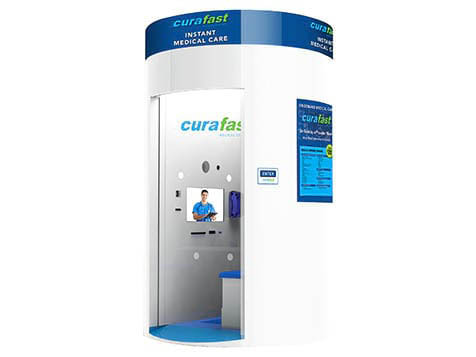 Open Curafast Medical Centers in any of these available states: AL, AZ, AR, CA, CO, FL, GA, HI, ID, IL, KS, MA, MS, MO, MT, NE, NV, NH, NJ, NM, NY, NC, OH, OK, OR, PA, SC, TN, TX, UT, VT, WA, WY, DC. 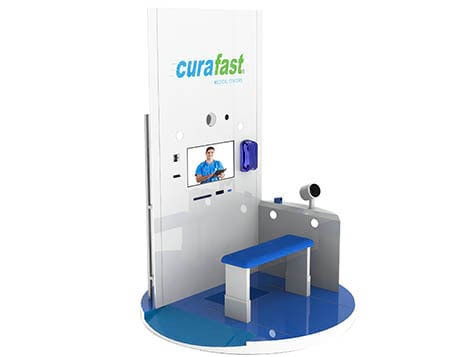 Each unit is equipped with the latest medical technology, allowing each center to record its patient's vital signs (including blood pressure, pulse, temperature, height and weight). Available to Non-Physicians. No medical experience required. The centers accept cash, credit card and most major insurance providers. We are transforming the health care industry, one patient at-a-time. 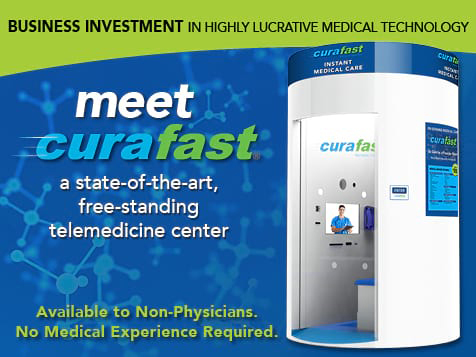 On Demand Medical Technology Inc. has assembled a world-class team of medical and business experts, as well as Fortune 500 partners, to assist its licensees participating in this highly-lucrative and space interrupting venture. Disclaimer: This offer is made in compliance with all FTC regulations regarding the offering for sale of a Business Opportunity, and a FTC Disclosure Form is available on request. This is being offered as a licensing opportunity through a licensing agreement on a limited basis throughout the United States. 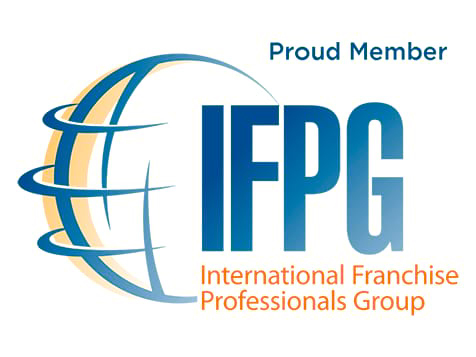 This offer is available to accredited investors only, and should not be construed as an offer to sell a business, franchise or other opportunity in any state requiring registration of businesses, franchises or other opportunities for sale that On Demand Medical Technology Inc. is not registered or licensed to do business in.